A classic New England Colonial situated on over an acre of professionally landscaped property in Mendham’s sought-after Brookrace neighborhood offers exceptional curb appeal and a modern, fresh feel throughout. Impressive details in this five bedroom, four full and two half bath home include hardwood floors throughout, two fireplaces, built-ins and extensive moldings and millwork. This designer decorated home provides an ideal backdrop for everyday living and grand entertaining. Introduced by an open foyer, there are sight lines into the comfortable living room warmed by the glow of a gas fireplace and the elegant dining room for special occasions. The family room features a wood-burning fireplace, built-in media center cabinetry and convenient back staircase. High-end details in the center island gourmet kitchen include handsome cabinetry, granite counters, and professional-grade appliances with two dishwashers. The adjoining breakfast room with plantation shutters and coffered ceiling overlooks one of two private patios. Multiple pantries, the laundry and a powder room completes this level. Upstairs are five spacious bedrooms, all en suite. A sunlit, stylish master suite with walk-in closet adjoins a gracious master bath containing a shower and jetted tub. This wing of the home additionally has a large en suite bedroom with sitting area and custom built in desk and cabinetry, which can serve as an office or library. Further along this floor is a private guest suite with bath and large walk-in closet. Two more generously-sized en suite bedrooms with double closets are also located on this level. The third and lower level of this home provides spectacular entertaining and living space. A media area with ample seating is perfect for movie nights. The billiards space opens to the bar area with custom cabinetry, sink, wine refrigerator and wine storage with bar and lounge seating. An exercise room with mirror provides ample space for multiple users. A convenient powder room is nearby. Rounding out the wonderful features of the lower level are a walkout patio with illumination, professionally-designed and maintained perennial gardens, stone walls and steps which wind their way to the patio above. Located off the kitchen, an in-ground pool is surrounded by gardens and a glass fireplace for year ‘round star-watching. A gated entrance to Schiff Nature Preserve is located at the rear of the property along with a charming storage shed and play area, while Lake Therese offers boating and fishing. Just outside the Brookrace community is Roxiticus Golf Club for golf, tennis swimming and dining just steps away. Additional amenities of this truly wonderful home include an attached three-car garage, custom closet systems, home security, central vacuum and sprinkler systems, and public utilities. 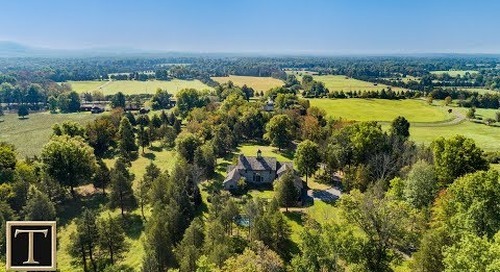 Located in the scenic Roxiticus Valley, 10 Brookrace Drive is located in Mendham's award-winning school system and is a short distance from either the Bernardsville or Morristown train stations for Midtown Direct service.